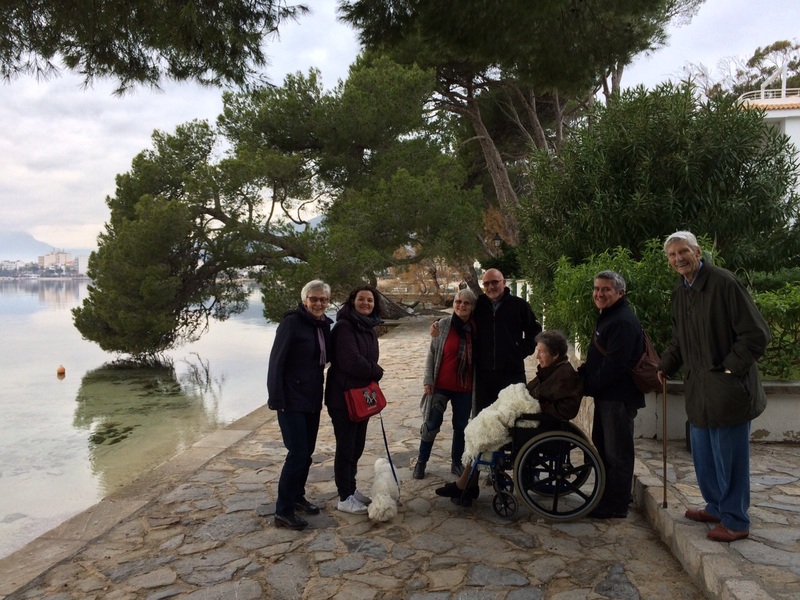 In mid-January we went on two more lovely hikes in the mountains close to Puerto Pollensa, both with friends we have made at the church we attend in Palma. 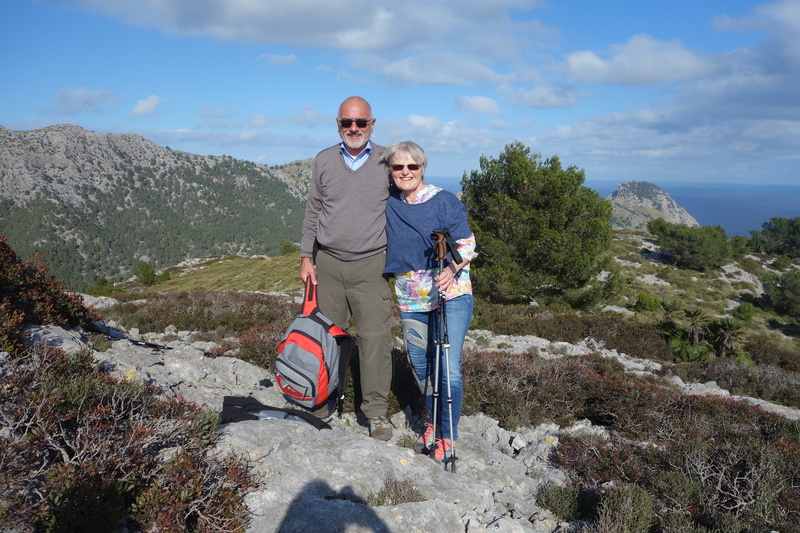 The first one was to Cala Boquer with Rosie and Ken, and later the same week we went to Cape Formentor with Maike and Siegfried. Both days were sunny and relatively warm, and we felt very fortunate to be able to enjoy beautiful places with good friends. Maike took this picture of us when we stopped for a snack. Tomorrow is the day of the Saint Antonio which is celebrated in many towns and villages of Mallorca. 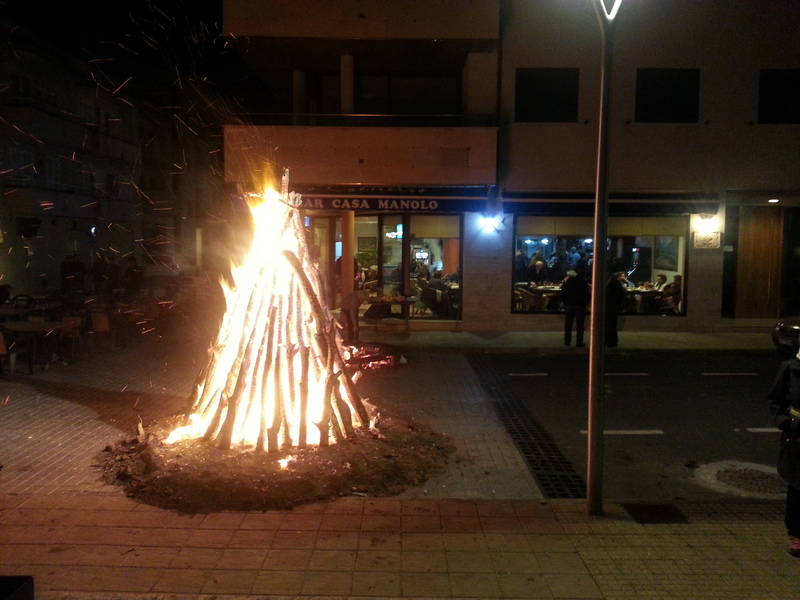 The night before, big bonfires are lit in the streets, in our village close to 30, and neighbours meet to barbecue and celebrate. The children light firecrackers, the adults party all night. On the day itself then the animals are blessed and other local traditions observed. In Port Pollenca these include the erection of a greased tree in the main square, that the local young men then try to climb. We walked around town tonight, enjoying the fires and atmosphere, but came back before things got too wild. 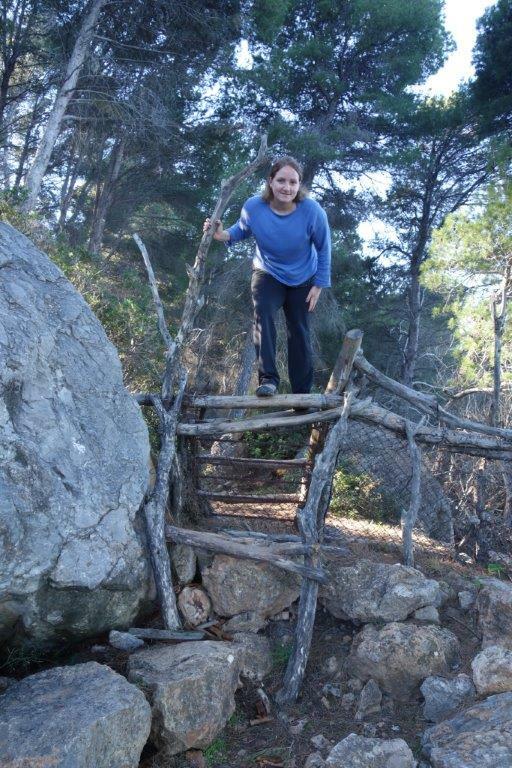 Andrea is visiting this weekend and we went on a 15km hike today, from Deja to Port de Soller along the coast. Fantastic day for it and great fun. January 6, three kings, is a very important holiday in Spain, bigger than Christmas. This is when the children here get their presents and there is a parade in just about every town. We did not get any presents, but we spent a wonderful afternoon with friends. In January there is frequently a strong high pressure system located over the southwestern Mediterranean. This keeps the ugly low pressure systems from the North Atlantic well away from here and the Balearics then enjoy calm and sunny weather. Today there was not a cloud to be seen and the temperature reached 19 degrees Celsius. 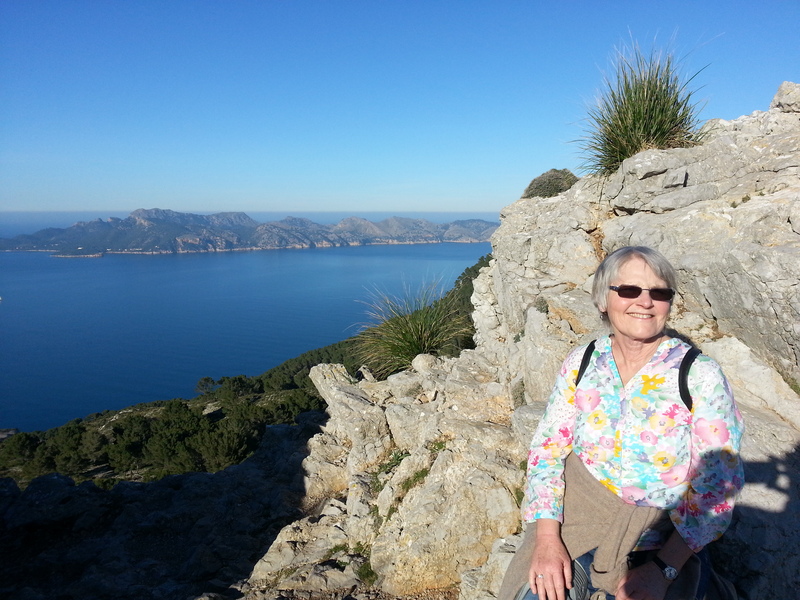 After shopping and cleaning in the morning, we hiked up the Talaia d’Alcudia this afternoon, enjoying the fine weather and the great views. This is not a very long hike, but rather steep in places. Enough of a workout to justify a sunset drink on our rooftop patio now.